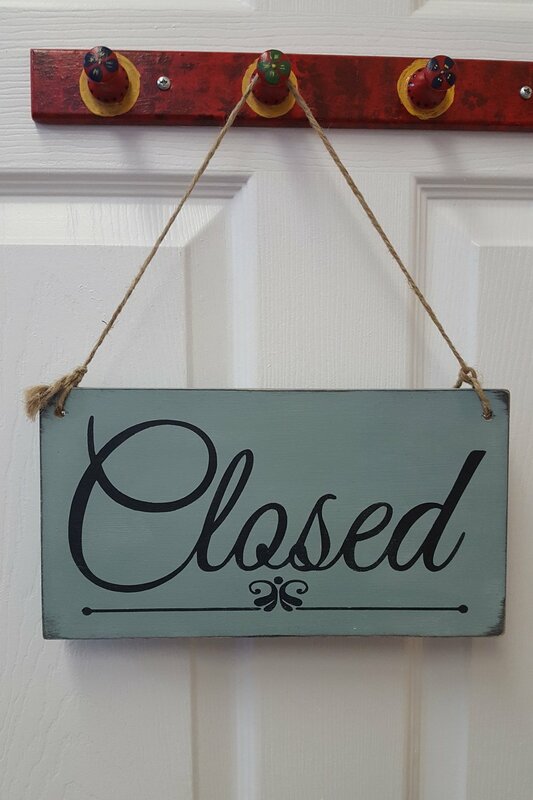 As of November 30, 2018 Alpaca Avenue will no longer be located at 1128 Martin Grove Rd in Etobicoke. 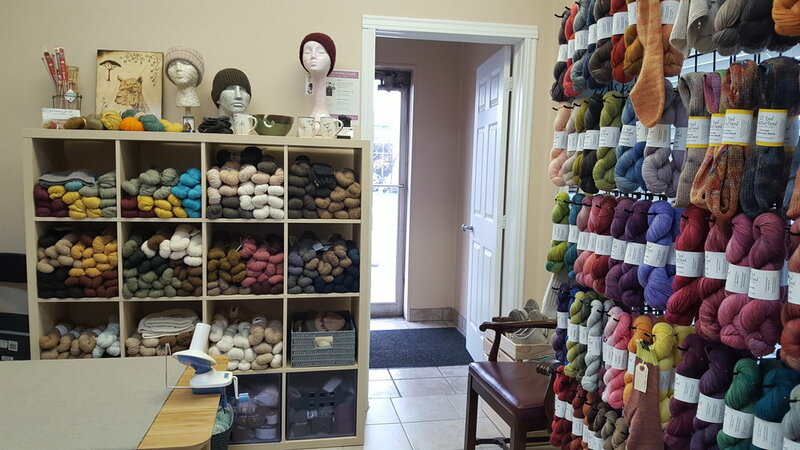 It is not the usual location for a yarn store but was an opportunity that became available a few years ago when my husband rented warehouse space in the building and the office at the front of the building became my little shop. I am grateful for the opportunity that I have had and have met many wonderful people who also love making things by hand. I have discovered a wonderful community of makers on line as well as in person. The rent has been affordable but now it increasing to the point where I cannot keep the shop open anymore. I will continue with my yarn business from home. How it will evolve, I am not sure at this point but ideas are percolating!! I hope to continue selling at local events and on line. From the start I have enjoyed supporting other makers and local producers as much as possible. If you have been to the shop you will have noticed pyrographic art by Carole Peters for sale. They will be returned to the artist when I close up shop but are still available for sale until then. They are truly one of a kind and would make a wonderful gift or addition to your own art collection. My focus has been on alpaca yarn for a good reason. 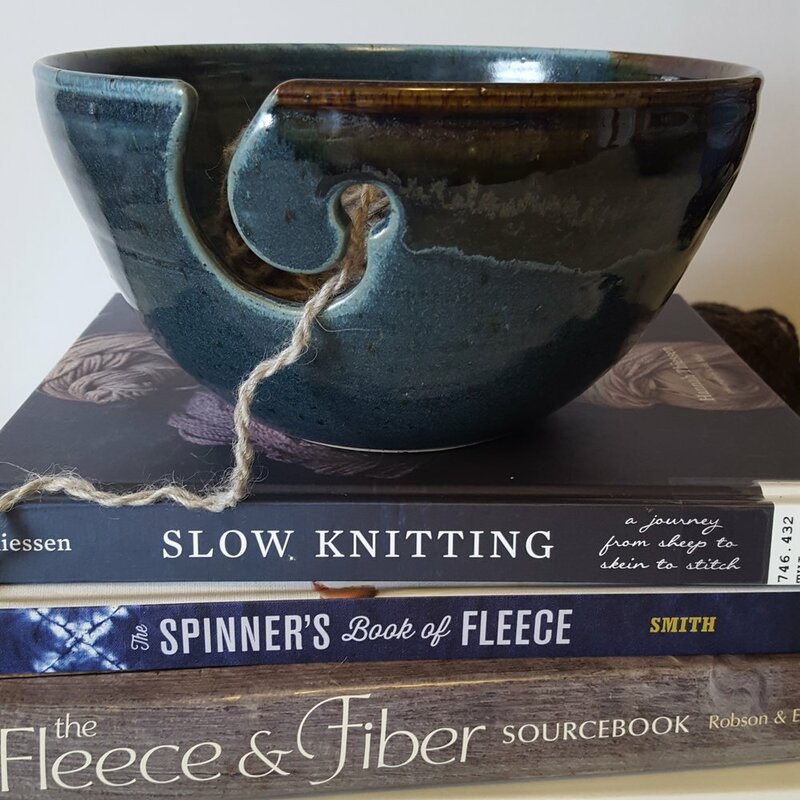 It is a wonderful soft and warm fiber and over the years I have looked for a variety of alpaca yarns to offer that showcase its unique characteristics. Kitchen Sink Lopi from Legacy Lane Fiber Mill in New Brunswick in the basket. 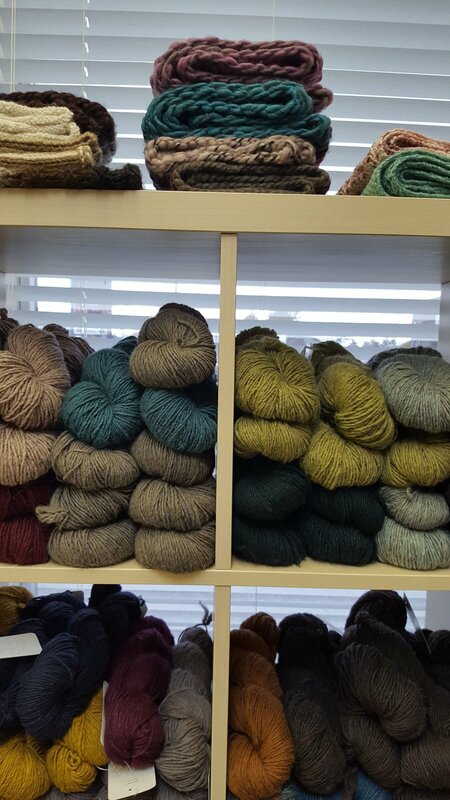 Suri Singles from Salt River Mills on the shelf. O wool Local is probably my favourite yarn. If you have not tried it go to www.o-wool.com and read about how it is made. Local is only one of the beautiful yarns available from O-Wool and there are many wonderful patterns and kits available. Li’l Red KettleHead’s hand-dyed sock yarns are very popular. 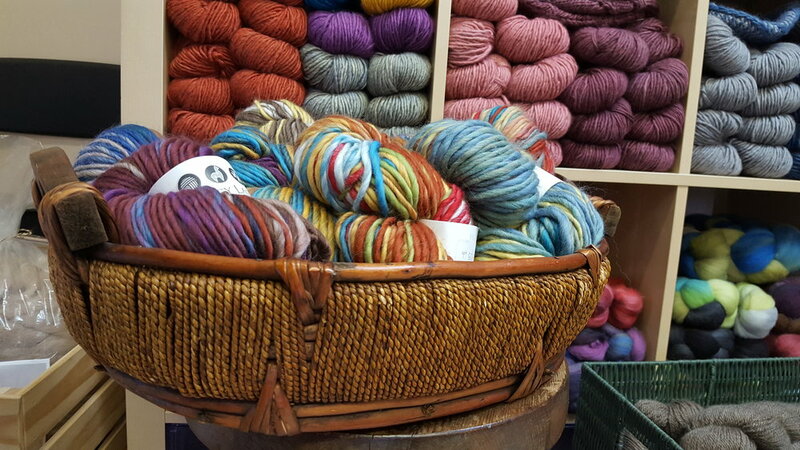 Be sure to come and pick up some gorgeous sock yarn! I am also hoping to have some of her worsted weight yarn in sweater quantities next week. I will update on Facebook and Instagram as soon as I have them. Thank you for taking the time to read this post! I Hope you have a wonderful Fall and Winter and that you have lots of time for joy of making something for yourself or someone else with your own hands!